PIR Motion Sensor to turn LBFA series LuxBar Light Fixtures on or off. 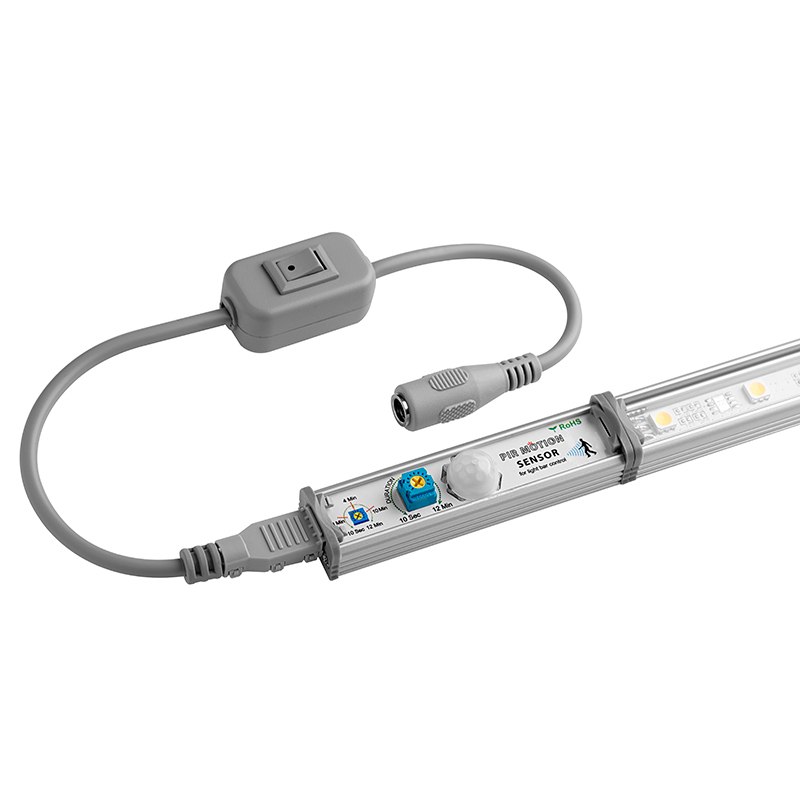 PIR Motion Sensor connects to Light Bar anywhere in the series connection. 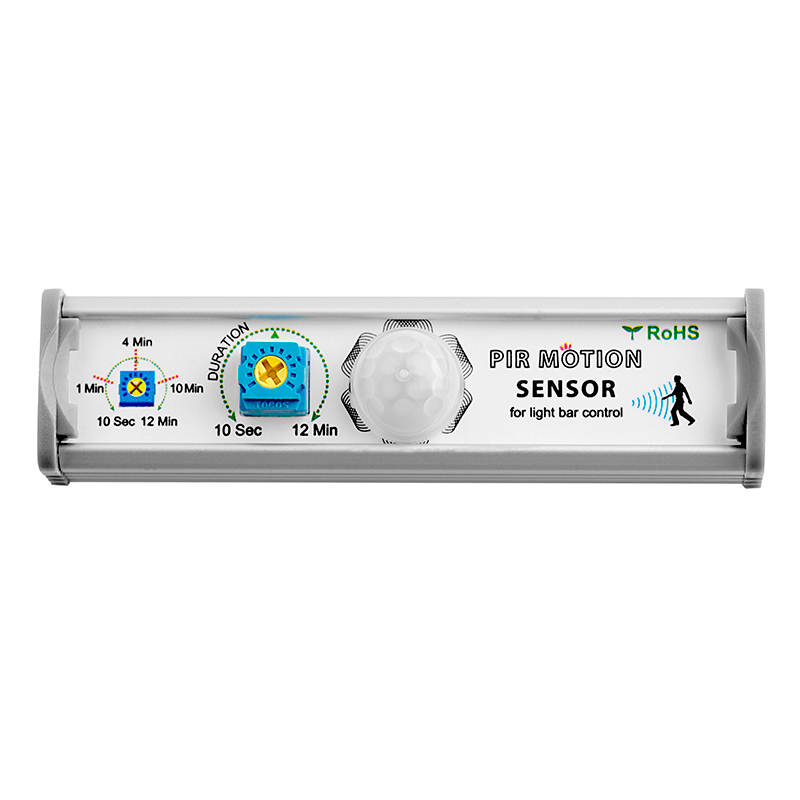 2 meter sensing distance and adjustable 'On' time from 10 seconds to 12 minutes. 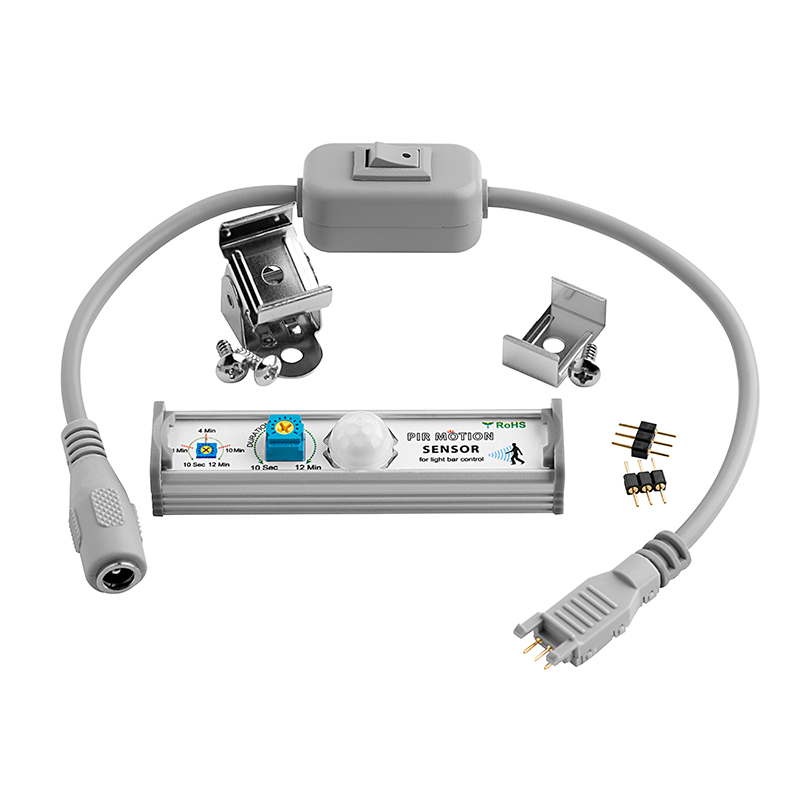 Motion Sensor is used with either 24 Watt or 48 Watt 24VDC CPS Power Supplies. 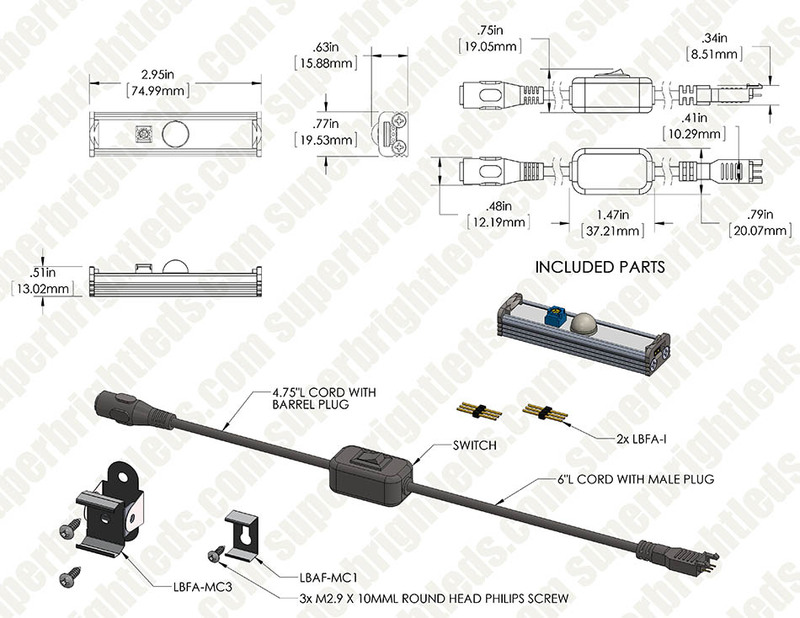 Includes Required Power Connector Switch (LBFA-PIR-SW), 2 Direct Connect Jumpers(LBFA-I), 1 Flat Type and Adjustable Type Mounting Clips with 3 screws(LBFA-MC1), and User Manual. There is one very important note about this product: it is not a re-trigerable sensor. When the sensor trips, the lights will come on for the set time delay only. Continued movement will not keep the lights on. When the timer runs out the lights will turn off whether or not there is still movement. This may be a very important consideration in your layout. Other than that, I've had some instances where it doesn't detect movement so well - but that may just be due to how I have my sensor set up. Being attached to the light bar, the cone of the motion sensor was too narrow and the light would turn on after the person had already passed. We needed a motion sensor removed from the light.